My favorite shoes happen to be all in LN-CC.. and apparently they're haplessly expensive. It's my first time to know about the label - Individual Sentiments which reverberates the Margiela aesthetic. Damir Doma's version of creepers are forward and elegant with the metallic green accent. Plus Achilles of Ion which explores more on upgrading the classic form of derbies and combat boots. Barny Nakhle's chunky offering left me drooling too. 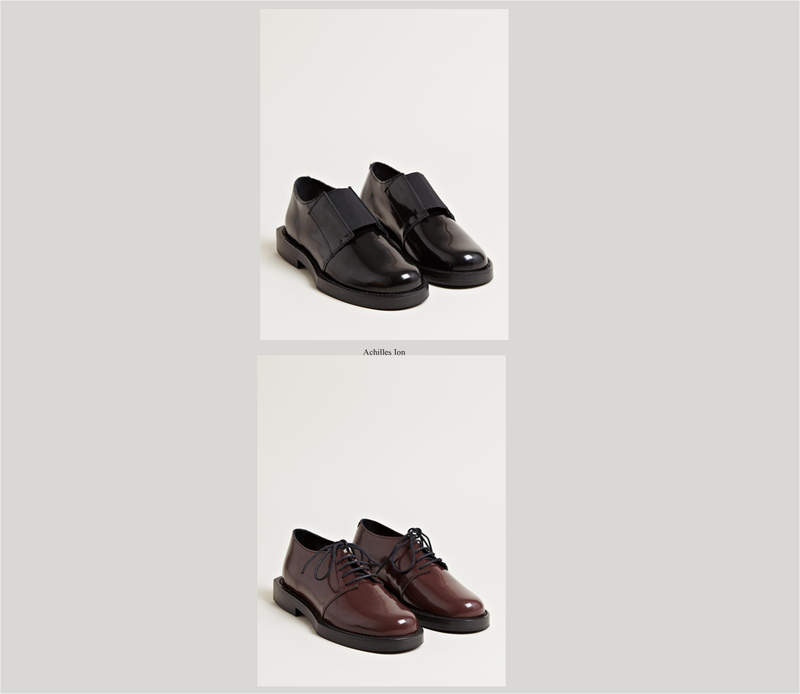 The textured leather is just so tempting.. Ets Callatay's derbies are minimal yet it has the most interesting pattern. 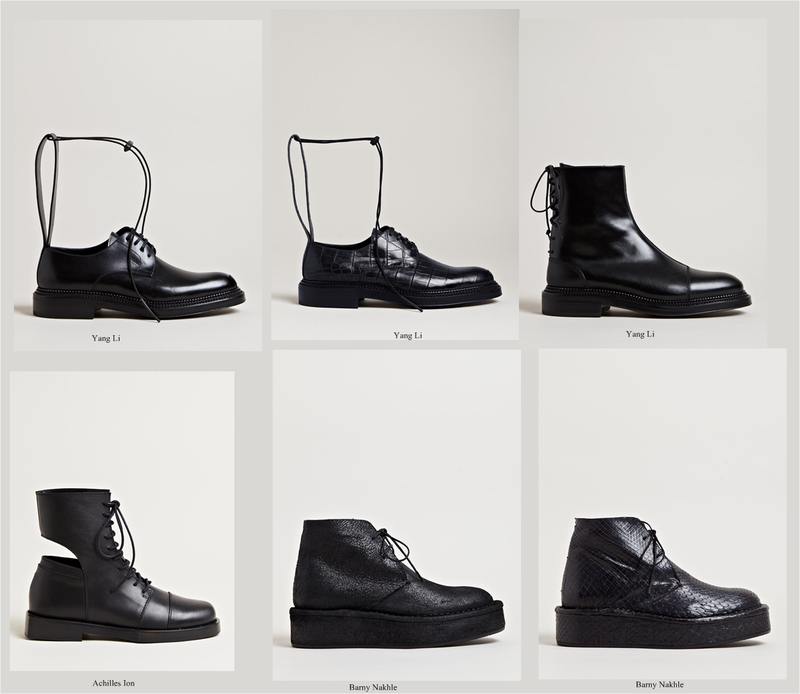 But my top fave would be Yang Li's lace derby which is the most intellectual + functional , I think. 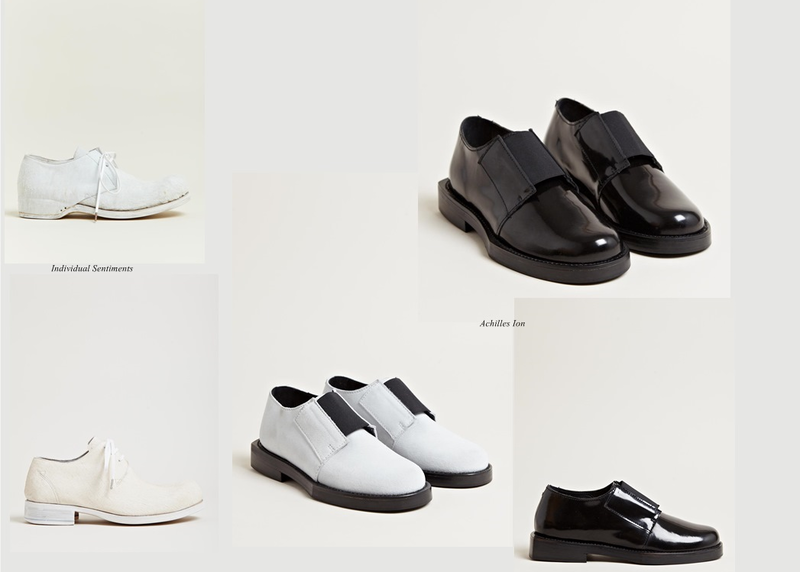 i want those damir doma shoes so bad! !